I want to talk a little today about one of the coolest accessories you can own- rings. I’ve worn rings everyday since I was seventeen-years-old. They're the coolest way to accessorise any outfit. They allow you to express your personality and taste, or to remind you of a certain person or place. 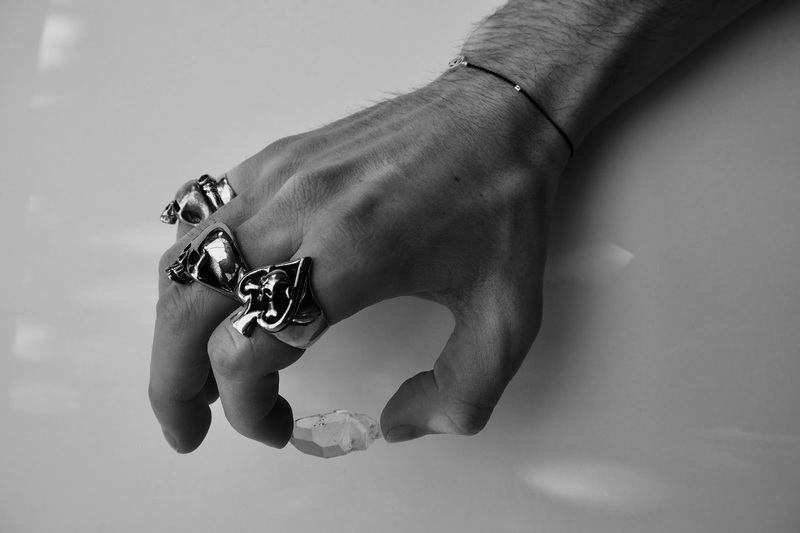 When I see someone wearing unusual rings, they instantly become a little cooler in my book. Their outfit looks a little better, and they seem to hold themselves in a effortlessly cool way. I don't know what it is, or how it works, or why it works; but I can tell you it certainly does. They’ve not just dressed themselves, they've gone that extra step. They've styled themselves. They've personalised they're look. They have an ora around them, they are cool. When someone is writing, or holding a glass, you notice right away how they’ve styled their fingers. A ring is a very personal thing to own. A handful of quality rings will separate you from the crowd. Rings are so individual, I can tell you now, some of the rings I own, no-one else does. They're that individual, they couldn't be replaced or replicated. You have to build up your collection over the years, it’s not a collection you can acquire overnight. Searching for that special ring that can tell a story, or that will remind you of where you've been, makes all that searching worth while. Rings are the final flourish of your character and personality, of very extremity of your body. When I first began to wear rings, I fell at the first few hurdles, I didn’t do it right. Some of my rings were chunky, others very delicate, some gold, some silver, some black, even some which changed colour depending on what mood I was in. YES, I had a mood ring! It wasn’t my finest hour. But I was young, I was still learning. I was wearing rings but I wasn’t pulling them off. After learning from my mistakes, I can tell you the most important thing to do is to stick to a colour scheme. In my opinion, the best two colours to stick with are gold or silver. They look by far the best, plus they're easier to come by, as many manufacturers use those two metals or colours. Many years ago, I decided on only buying silver, which is primary colour that I still stick to. Now my finger jewellery and bracelets all comply to my strict rules. Trust me your hands will thank you for it. It looks way better when you have an uniformed colour on each hand. Rings are such a good way of remembering someone or a place you've visited in the past. The best rings you own always have a story to tell. I’ve got rings from all around the world, and whenever I wear them, it always reminds me of how I came to possess each and every one of them. 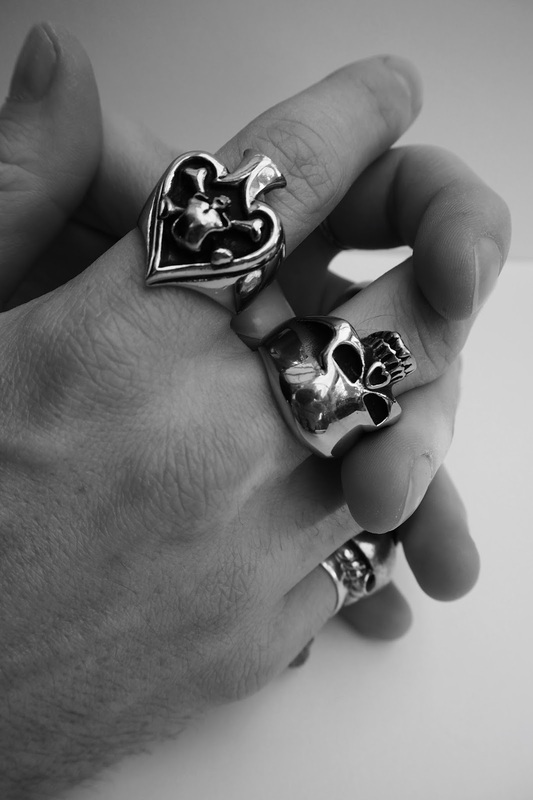 At a certain age you might be given rings that have been passed down in the family. These pieces are very sentimental, as they are rings that family members have owned for generations. These rings were most likely from important times in their lives, these rings will have been engagement rings, wedding rings or which have been given for a special occasion. 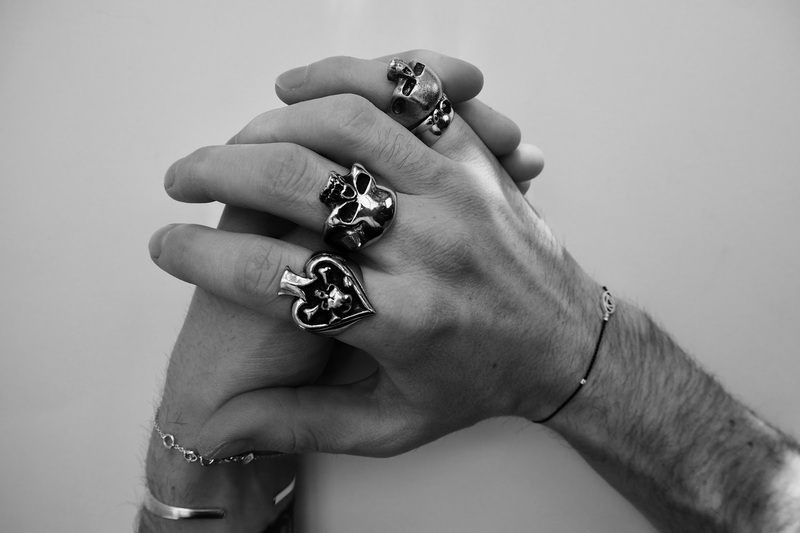 These pieces are always quality, as the rings have been treasured in the family for lifetimes. I own a few sentimental rings, one being an antique gold ring; which was worn by my Nan and by her Mam before her. The second important ring, being another gold ring belonging to my Nan, this time with a garnet mounted in the centre. Last but not least, my Dads engagement ring, which is a plain silver band. Rings are very important to me, and I always wear them with care. A good tip to use, is to always wear your most precious ring with another, tighter, less important ring on top. That way it makes the most precious ring impossible to fall off. Other things I love about wearing rings is the noise that they make. 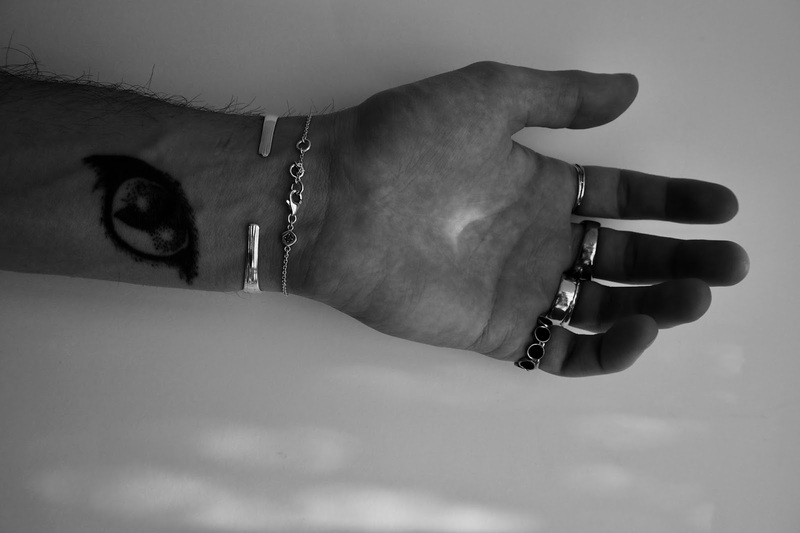 A little bit like wearing necklaces, you develop a particular noise about you. When you walk or move you start to jangle. It’s an added bonus! Another favourite quirk of mine is to sit and tap my rings off one another. It just gives you something to play with, I get mesmerised by twisting, spinning, tapping my rings whilst pondering a question, or thinking about something, I just think it’s just a cool thing to do, full stop. 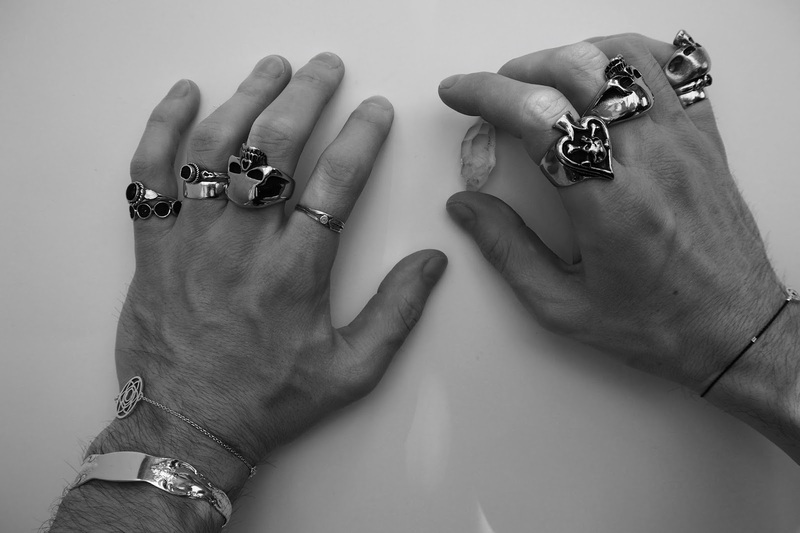 My other less sentimental rings include: two skull rings which I have always wanted, channelling possibly the coolest person in Rock & Roll, the one the only Keith Richards. 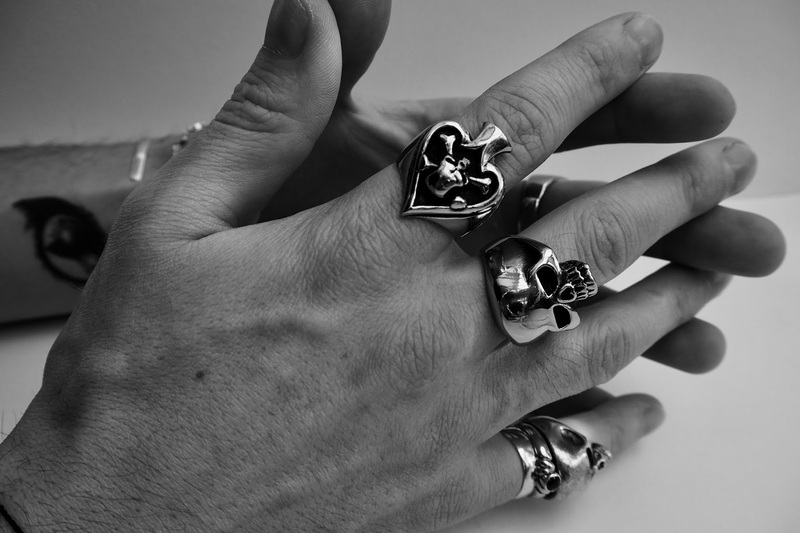 Keith is well known for his signature skull ring, it’s said he’s not taken it off ever since receiving it as a present in 1978 for his 35th birthday. I remember him saying in a documentary, that they act as a constant reminder to him of mortality; that everyone, no matter who they are, will die at some point. I have a matching pair similar to Keith’s, which I wear on each of my middle fingers. 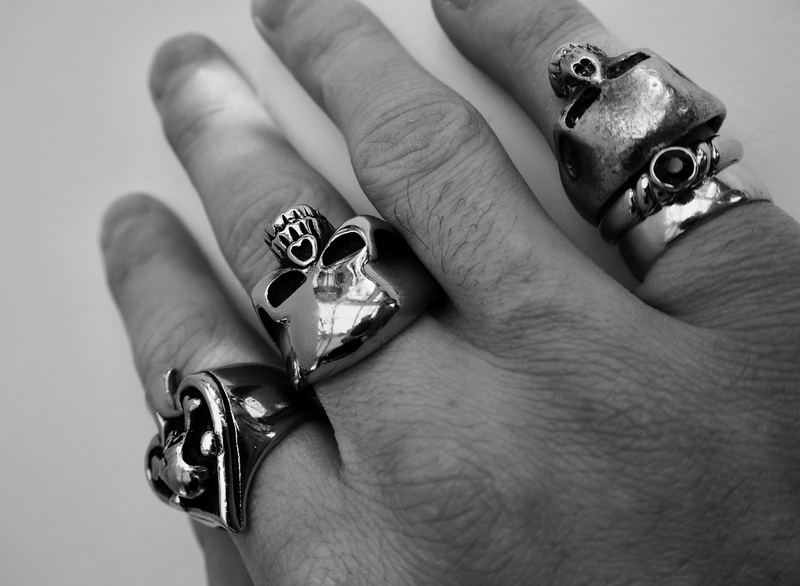 I also have another much smaller skull ring that I wear on my little finger, it was the first ring I ever bought myself. I wear it on top of the two gold rings I got given to me from my Nan. Another being my Dads engagement ring, this is a simple solid silver ring, but never the less looks cool. I wear my silver ring underneath a less important ring that I’ve had for quite a while. I can’t even remember where it’s from, but it stops the most important one from falling off, looking cool as well as been very practical. 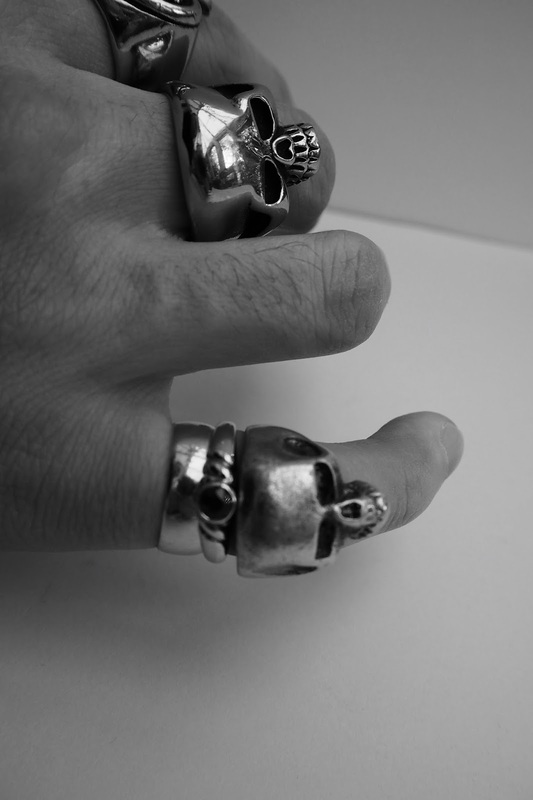 My newest ring to the collection is my skull and cross bones ring, it’s in the shape of the ace of spades, with a skull and cross bones in the centre. This ring is quite bulky, but I think it fits in well with the rest. The finest ring I own I bought in Cuba, I found it at a flea market in the main square, it was in a small, very old tatty box. 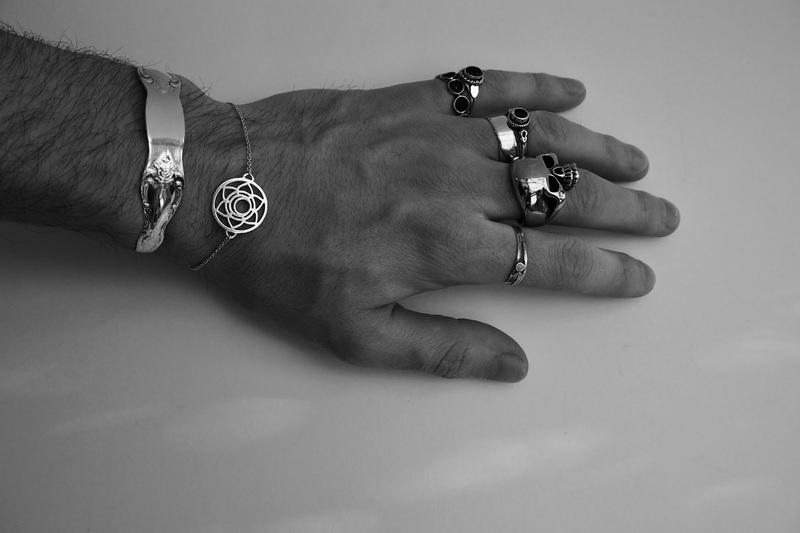 The unusual aesthetic caught my eye immediately and drew me towards the small box which housed the silver ring inside. I tried it on my left index finger, and it fit perfectly, first time too! It was fate. I had to buy it right there and then. It’s a very fine silver ring which is very old, it’s the most delicate of all my rings, so I have to be extra careful. The other two rings I own, which I wear on my left little finger are two I have just picked up over the years, I can’t remember where either of them are from or where I bought them. Both the rings are unfortunately missing the black stones they originally came with. So I’ve had to do a little DIY by painting the holes black making it a little less noticeable. This is definitely the ring finger I must spend some time finding new rings for. Which is next on my to do list! I’ve found some websites you can find some nice pieces on, which are below. But as I mentioned, the more personal and individual the ring is, the better. Also, if you have a ring in mind, shape, design, try eBay! eBay it’s awesome for stuff like that, there’s so much out there, it’s just the case of scrolling through page after page finding that diamond in the rough! Check out my latest Youtube, this week, you've guessed it, all about my rings.